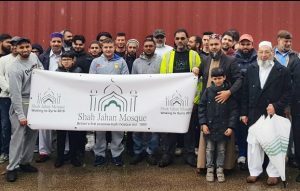 THE Shah Jahan mosque and the Christian charity His Church have worked together to send aid to Syria worth around £20,000. The money was raised by the mosque in just four weeks to help the victims of the war, most of whom are young children, women and the elderly. The mosque manager, Muhammad Habib, said that millions have lost everything due to the war and there is a major need for food, drink and medical supplies.